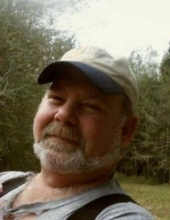 Paul Raymond Stringer, 58, of Big Point, MS, passed away July 25, 2018 in Pascagoula, MS. Paul was born February 13, 1960 to the late Homer Lee and Helen Stringer. He enjoyed fishing and camping on the Pascagoula River. Paul loved making furniture and building things out of wood. Paul did what it took to have a roof over the heads of his family. He truly loved his family. In addition to his parents, Paul was preceded in death by his sister, June Blackledge. He is survived by his wife, Regina Langston of Big Point, MS.; children, Misty Nichols of Cambridge, IL, Hillary Stringer of Wade, MS, Kray (Rachel) Langston of Gulfport, MS, Duncan (Savannah) Langston of Wade, MS, and Raelynn Stringer of Big Point, MS,; siblings, Mary Lee (Carl) Randal of Wade, MS, Randy (Connie) Stringer of Moss Point, MS, and Steve (Lori) Stringer of Meridian, MS,; along with numerous other nieces, nephews, and other relatives and friends. The visitation will be held Saturday, July 28, 2018 from 10:00 a.m. until 11:00 a.m. at New Beginnings Church in Escatawpa, MS. The funeral service will follow at the Church beginning at 11:00 a.m. with Bro. Danny Crane officiating. Interment will follow at Robinson Family Cemetery in Escatawpa, MS.
To send flowers or a remembrance gift to the family of Paul Raymond Stringer, please visit our Tribute Store. "Email Address" would like to share the life celebration of Paul Raymond Stringer. Click on the "link" to go to share a favorite memory or leave a condolence message for the family.